It’s the news no expecting parents want to hear – their little boy may not make it. 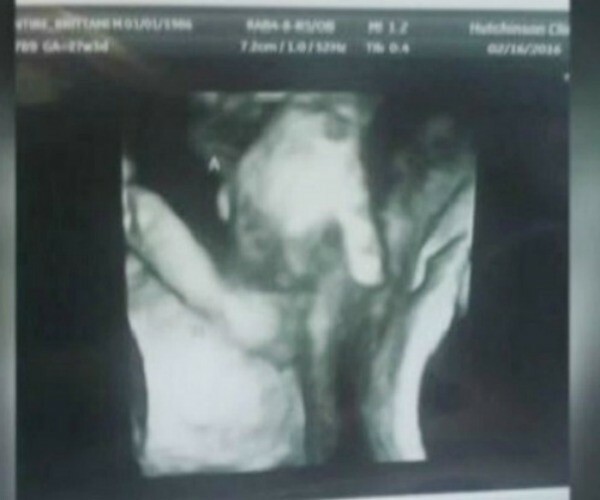 But this one photo, captured by a sonographer and shared by an incredibly brave American couple, brings a glimmer of joy to a heartbreaking situation and proves just how powerful the bond between siblings really is. As a parent, all you want is to protect your child. But when Brittani and Ian McIntyre discovered that they were pregnant with twins and one of the twins might not make it due to an abnormal brain and heart defect, there was really nothing they could do but wait. “I know I’m holding him, I’m carrying him but I just want to be there for him,” Britani admits as she holds on to the image of the son she may lose before he is born. Although the inevitable fate of their little boy, whom they have named Mason, is completely out of their hands, his twin sister, Madilyn is doing everything in her power to help her brother through this heartbreaking journey. The brave couple, who already have two daughters, share their incredible story and an image that is so raw, so powerful and so heartbreaking that it’s hard not to tear up. 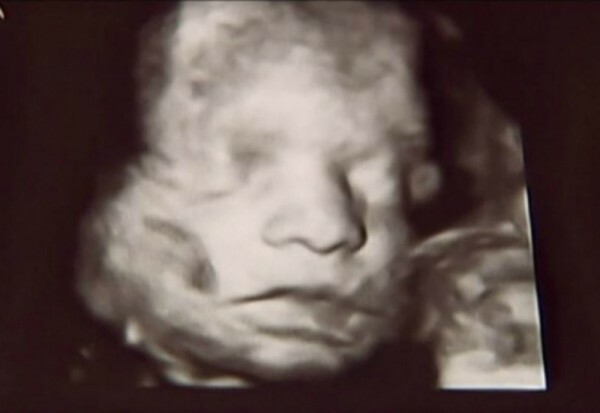 The image captures Mason’s tiny fingers clasped around his sister’s hands in utero. It is an image this brave family will hold on to forever. As the family of four find strength through each other, it appears Mason and Madilyn are doing the same. If the baby does make it through, the twins will be delivered via c-section. If not, then the family will draw some consolation in knowing his sister was by his side. We at Babyology are sending positive thoughts to the McIntyre family and to little Mason.